Plants have historically been a source for natural medications, but, in today’s world of highly sophisticated chemical drugs, natural solutions have started fading from the market. The technological revolution has given us a plethora of extremely effective medicines, but that doesn’t mean that the plant-based techniques used historically aren’t just as effective in some cases. Essential oils, for example, are as relevant in dental care today as they has been in the past. Here are five different types of essential oils that dentists like Dr. Trinh Nguyen from the Cosmetic and Dental Implant Center in California recommend to supplement your personal oral health plan. Have you ever noticed how most toothpastes taste minty and fresh? 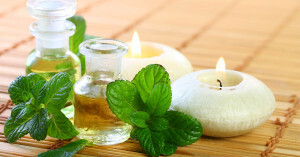 This is no accident: peppermint oil, a common ingredient found in most toothpastes, is an essential oil that is extremely useful in dental care. Its antiseptic nature means that it can help fight off bad breath and harmful germs as well as sooth toothaches and reduce pain in the mouth. It also has the added benefit of making toothpastes taste better and making your brushing experience more enjoyable. Given the similarities in taste and smell, it shouldn’t be surprising that spearmint oil’s antiseptic qualities are just as formidable as those of peppermint oil. Spearmint oil can prevent bacterial infections and sooth the mouth, making it an effective way to prevent oral health issues and relieve pain. Another scent that likely reminds you of California dental offices and tooth-related products alike is probably that of clove oil. Like peppermint and spearmint oil, clove oil is a type of antiseptic that is extremely helpful as a pain-relieving restorative. Many dentists, for example, recommend rubbing clove oil over an extraction site as a way to prevent dry socket, and rubbing clove oil over toothaches can reduce pain in the area. There is, however, an important caveat to keep in mind. Clove oil, when ingested in large quantities, can be toxic to the body. If you experience any irritation as a result of using clove oil, you should contact your dentist in Brea to make sure nothing serious is occurring. Tea tree oil is similar to both peppermint oil and clove oil as an antiseptic treatment for the mouth. Research has proven tea tree oil to be an effective way to fight off bacteria, combat plaque buildup and prevent bad breath. Like clove oil, however, it can be toxic when ingested, so it is important to be careful not to swallow too much of it. Everyone knows of cinnamon as a spice, but the essential oil created from cinnamon may be less well known. Like essential oils created from other herbs, cinnamon oil is a powerful antibacterial solution, but it is special in that it targets the bacteria that cause tooth decay and gum disease. Using cinnamon oil to rinse your mouth is an effective way to ensure a clean and healthy mouth. Many mouthwashes come in cinnamon flavor now. These essential oils are a great way to supplement your daily brushing and flossing routine, but they can never be a replacement for the quality dental care you can get from Huntington Beach dentists. If you’re ever in Huntington Beach, Brea, or Placentia, make sure to contact Dr. Trinh Nguyen from the Cosmetic and Dental Implant Center by calling their office at (714) 702-1328 or visiting their website at www.cdicdental.com to get more information about dental implant services. This entry was posted in Dental Care and tagged Clove, historically, Peppermint, Spearmint on June 20, 2015 by Francis Nguyen.